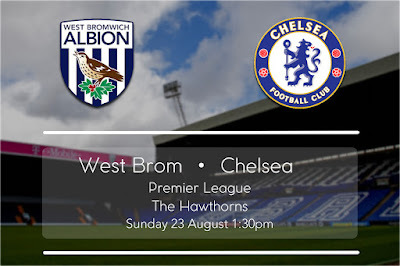 West Brom - Chelsea Preview: Pedro and Baba Rahman to debut? West Brom host Chelsea at The Hawthorns this Sunday with both sides chasing their first three points of the 2015-16 Premier League season. Enduring their worst start since 1998, the 16th-placed Blues have looked a shadow of the team that blazed through the early stages of the previous campaign. With his side uncharacteristically vulnerable at the back and seemingly bereft of ideas in the attacking third, Jose Mourinho may need to shake things up against the Baggies. New signings Pedro and Baba Rahman are in contention to make their debuts, but a lack of match fitness could limit their involvement to a cameo from the bench. West Brom is still looking for its first goal of the new campaign after suffering a heavy opening weekend loss to Manchester City before drawing 0-0 with Watford last Sunday. With the memory of a stunning 3-0 victory over Chelsea still fresh in the mind, Tony Pulis will be confident his men can again cause one or two problems for the reigning champions. Chelsea has established a slight edge over the Baggies in recent clashes by taking eight points from a possible 15. However, West Brom at home has proved a tricky fixture for the west London club, who last tasted victory at The Hawthorns back in April 2011. Tony Pulis has a full-strength squad to select from with the exception of goalkeeper Ben Foster, who is expected to remain sidelined until October after damaging his cruciate knee ligament in March last season. Oscar is the primary injury concern for the Blues. The Brazilian sat out last weekend’s loss to Manchester City and has been ruled out of making his return at The Hawthorns. Victor Moses has confirmed in midweek that he will miss the trip to West Brom with a minor knock. If the 3-0 drubbing at the hands of Manchester City last weekend doesn’t wake up Chelsea, we could be in for a rough ride this season. It might only be two games in, but playing catch-up so early on heaps pressure onto our shoulders. With that being said, all this talk of Chelsea stuttering through its worst start since 1998 is certainly a concern, but hardly cause for us to begin doubting our title defence. Tactical decisions have played a significant hand in our sluggish performances to date, namely Fabregas’ role in the middle of the park. It’s clear Mourinho can’t afford to deploy the Spaniard alongside Matic at the base of midfield against opponents that are as clinical in possession as City. 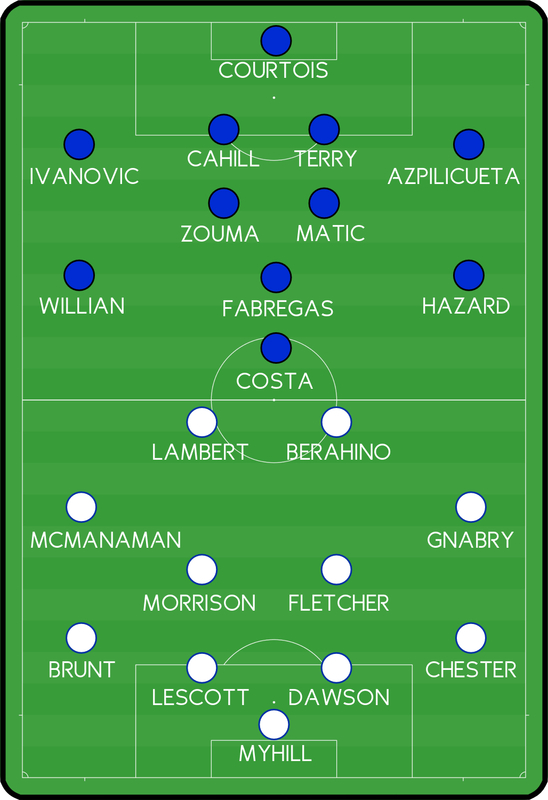 We might get away with it against West Brom, but I would prefer to see Fabregas step into the attacking midfield role, especially with Oscar unavailable. The spectacular interplay between the likes of Hazard, Oscar, Willian and Costa has gone out of the window in our first two games. Chelsea needs to move the ball quicker and with more purpose; players too often dawdling in possession around the penalty area instead of playing a pass at the first opportunity. We need to take more risks and try to be more inventive in the final third; this is the kind of football that made us so dangerous last season. The Baggies are far from easy-beats, particularly at home, but I’m expecting Chelsea to react with vigour after the thrashing in Manchester. 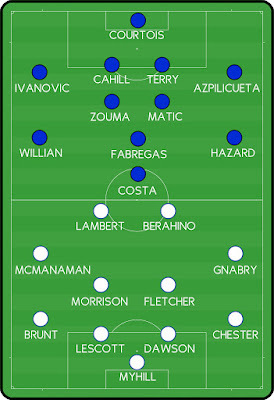 I predict we can nab a 2-1 win to kick-start our season. What are your score predictions?